Press | Mitchell Putlack Interiors, Inc.
As one of the best interior decorating firms in Chicago for more than 25 years, we have had a lot of positive PR, been interviewed by home decorating magazines and even been featured in local papers and received awards. On this page you will find a large bibliography of the publications that we have been in. If you are interested, the local library might have some of these articles archived. Crain’s Chicago Business: September 25, 2006, Vol. 29, No. 39, The business of Life, page 45, Haven stretches over hillside, page 74 by Edward Keegan, Photography by Shigley Photo. 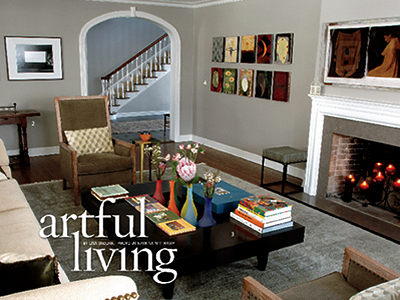 Midwest Home Chicago: Spring 2006 Issue, Artful Living by Lisa Skolnik, photos by Katrina WittKamp, pages 32-33. CHICAGO LUXURY HOME & CONDO: Premier Edition 2006, Luxury Design, A Masterpiece in the Master Bath, page 63; Interior Design, Designers, Mitchell Putlack Interiors, page 219 & Interiors, page 249. 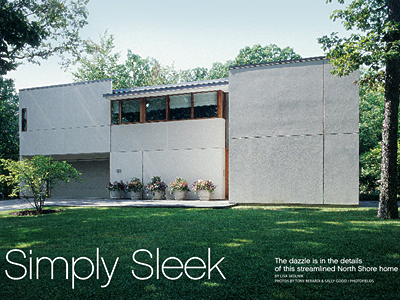 Midwest Home Chicago: Fall 2005 Issue, Cover Story, Simply Sleek; The dazzle is in the details of this streamlined North Shore home, by Lisa Skolnik, photos by Tony Berardi & Sally Good/Photofields, pages 30-37. Chicago Tribune Magazine HOME DESIGN: September 12, 2004, Section 10, GOOD BONES, A 1930s Colonial Provides The Perfect Setting For a Mix Of The Traditional And The New, by Barbara Ballinger, Tribune Photos by Bill Hogan, pages 34-40. Chicago Magazine HOME: Spring/Summer 2002, An Excellent Adventure by Christine Newman, Photography by Alan Shortall, pages 94-101. Crain’s Chicago Business: November 13, 2000, Vol. 23, No. 47, Interior designers find home in retail by Eddie Baer, page 26. Chicago Social Spring Fashion Home Design: March 1999, That’s Entertainment by Judy Giannetto-Adams, Photos by Wayne Cable, pages 206-207 & 209-210. Better Homes and Gardens Special Interest Publications Kitchen Planning Guide: 1999, Recipe for Success by Andria Hayday, Photographer: Jim Hedrich, Hedrich-Blessing, pages 72-79. Crain’s Chicago Business: April 28, 1997, Vol. 20, No. 17, SPECIAL REPORT, RESIDENTIAL REAL ESTATE, The price of a little R&R by Robina Riccitiello, pages RE1, RE7 & RE8. Country Home: April 1997, Southern Hospitality by Beverly Hawkins, Photographs by King Au, pages 36-40, 42 & 44. North Shore: January 1997, Personal Recipe, Laurie Levy visits kitchen connoisseur Abby Mandel, Photography by Lou Hafencher, pages 35, 38, 40 & 44. Home: June 1996, Cooking At Home With Abby Mandel, Photographer Judith Bromley, Stylist Lisa Skolnik, pages 124-126 & 128. Chicago Tribune Magazine: January 28, 1996, Section 10, Mix Masters, Four designers reveal their secret finishing touches by Barbara B. Buchholz, Photographs by Tony Berardi, pages 24 & 25. Chicago Tribune Magazine HOME DESIGN: September 26, 1993, Section 19, Fine points, Architectural details take on more prominence as a way to personalize and embellish a home by Barbara B. Buchholz, pages 50-54.